This is going to sound a little crazy, but I’ve done my taxes myself and I’ve also gone to a service to have my taxes done for me… and it was easier to do them myself. As well as cheaper. The reason? I use Turbotax.com now. There are a few things I like about TurboTax. As I previously mentioned, it’s easy to use. Whether you choose to download TurboTax or walk through the free online version, the interface is similar, asking you questions in everyday English that are clear and comprehensive. If you need help, that’s always available through TurboTax too. Once I’ve gathered up my W-2s and other tax documents, it’s a quick process to get through filing, and if I realize I’m missing something, it’s easy to return later and fill in the gaps. TurboTax double-checks your tax return throughout the process, and I always feel confident that I’ve both maximized my possible deductions and that my filing will go smoothly. Plus, I like that I can quickly import last year’s tax returns, which saves me even more time. There’s also a TurboTax estimator to calculate your expected return. 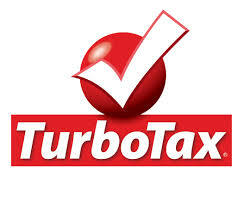 Even if you choose not to use TurboTax in 2013, review whatever numbers you get through another channel quickly with TurboTax to see if you or your tax service might have missed something. It’s always good to get a second opinion when it comes to your finances! How Much Does TurboTax Cost? TurboTax is free for basic federal tax claims; the options for TurboTax Business, Premier and TurboTax Deluxe are still inexpensive, between $20-75 depending on what product is right for you, which is certainly well worth it when you’re trying to maximize deductions and keep (or get back!) more of your hard-earned dollars. Free/Basic: Best for simple claims – like being a renter with no dependents (pets don’t count). Deluxe: Best for homeowners, those with hefty medical expenses or lots of charitable contributions – this version will help you maximize your contributions. Premier: This version is great if you have capital gains taxes, rental properties or the like to contend with – the stuff that’s just a little bit trickier, and would send you to a (much more expensive) accountant typically. Home and Business: For the small business owner. There’s a small additional filing fee for your state taxes, if you choose to do those through TurboTax as well – which I usually do, as it’s such a quick and easy process to add on the state tax return. Looking at Intuit TurboTax reviews on Amazon and CNet, it seems most people have a positive experience with TurboTax. While I like the product myself, I always feel best recommending something that many other people have found works well. Some of my non-US readers may be happy to hear that TurboTax Canada is also available and offers the same benefits to our friends further north. And I’m sure everyone will be happy to hear there are almost always deals on TurboTax, so be sure to google for TurboTax promotion codes before you start your return. While TurboTax is well worth the money, every dollar counts during tax season, right? If you’re ready to do your taxes yourself, then head over to TurboTax.com and get started today.